It's hard to find anything bad to say about Amazon but duty calls, so here goes: there appears to be a growing sentiment that consumers who pay $99 for Amazon Prime aren't always getting the free two-day delivery that is a major Prime selling point. The result is often just an inconvenience but it was more than that for Tyson of Burien, Wash., whose resulting fish story does not have a happy ending. "Yet again Amazon was late in delivering a package. Their response was yet again to give a free month of Amazon prime membership," Tyson said in a ConsumerAffairs review. "This time the item was time sensitive and cost me the lives of all the fish in my fish tank. It was a tank heater to keep them at tropical temps. 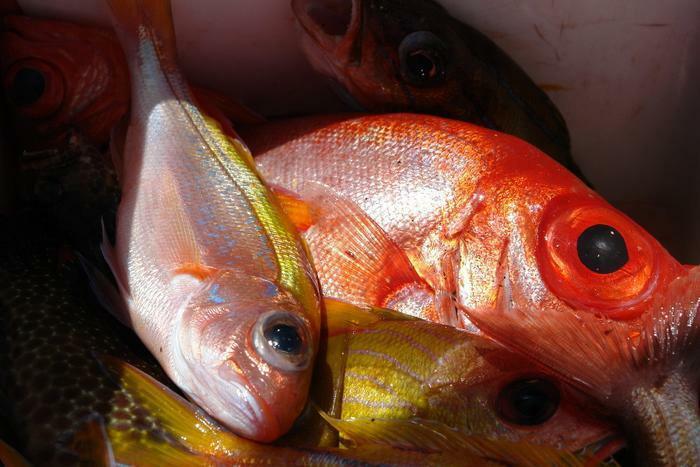 The free month of service was not worth 150 dollars in fish! I will never buy anything from Amazon that must be there on time!" Robert of Lakewood, Colo., thinks things have been getting steadily worse. "I've been an Amazon customer for years and until this last year and a half, have been supremely happy. But things have changed, and not for the better. What used to be fast and complete shipping is now 'we'll ship it when we feel like it - and your order may not be complete.' I used to order a couple of books and a couple of CDs and maybe another item, and they would all appear within 5-6 days in one box. "My latest order - four books, all in stock and 'shipped by Amazon,' - weren't consolidated into one order. They are being shipped piecemeal, in three shipments (at no additional charge!)." Robert also complains that free shipping is not always available, even when it is promised. "Two of the items said 'qualifies for free shipping,' something that I used to take advantage of. This time? When I got to checkout there was no free shipping option. This time, I paid for standard delivery - ordered November 4, expected delivery November 19 - two weeks!" Here at ConsumerAffairs, we order quite a bit of stuff from Amazon and have noticed that packaging seems extremely random lately. Last week, we ordered a $600 Blackberry Passport smartphone. Delivery was "guaranteed," first by Wednesday. then Thursday. It showed up Friday, stuffed in a box with office supplies including file folders and notepads and delivered by the U.S. Postal Service, not always our preferred carrier for expensive items. Odder yet, last month -- Nov. 27 to be exact -- we ordered a hard-to-find LED light bulb for use in a wall sconce that lights up our little corner of the universe. 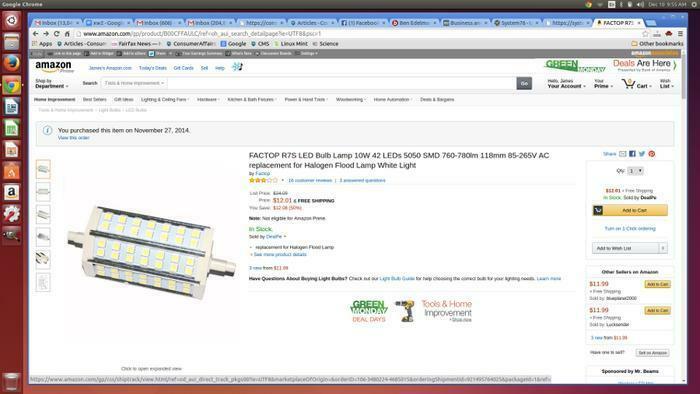 The bulb was listed as "in stock" and eligible for free shipping. The weather turned drab and dreary and darkness fell over the office as we awaited the arrival of our bulb. There had been nothing to indicate that this order would take any longer than the others we submit almost daily. Most items show up in two days or so, after all. Time passed and eventually, we dragged in a floor lamp from another office to lighten the mood a bit, finally going online to track the item, only to learn that while it indeed may have been "in stock," it was in stock somewhere in China and is now, presumably, making its way to these shores via tramp steamer. 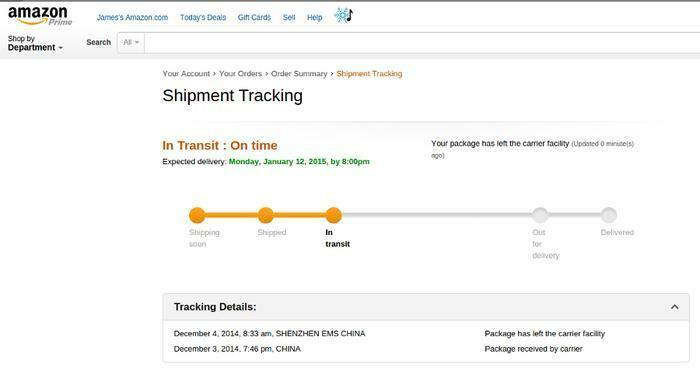 Note that the tracking shows the bulb -- supposedly "in stock" -- did not actually leave its China warehouse until Dec. 3, six days after it had been ordered. It's now expected to arrive sometime in mid-January. We've asked Amazon about this and the general issue of unexpectedly late deliveries but have not yet received a reply. We also went to Amazon's "file a claim" page only to learn that we the automated system would not let us file a complaint about late delivery. Why? Why, because the order hasn't arrived yet -- i.e., the estimated delivery date has not yet passed. So you can't complain about a late delivery until it's actually delivered, no matter how late it is, which is kind of the definition of circular reasoning. Admittedly, it's only a $12 light bulb not a school of fish or other life-and-death matters but maybe it's time for Amazon to consider whether its third-party sellers are beginning to drag down its reputation for customer service. Chinese carmaker Trumpchi hopes to launch in U.S.